Last Updated: 8/30/2012 | File Size: 1489 KB | Price: $35 | Downloads: 128 | Developer: Wise PDF Tools Ltd. 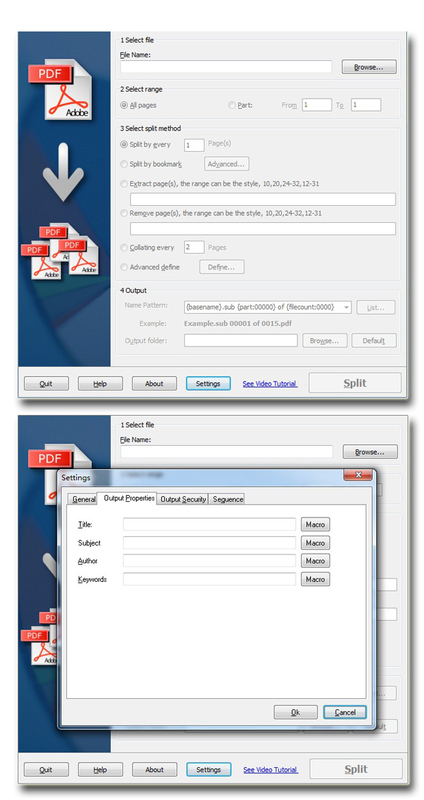 Wise PDF Split is a professional, speedy and flexible desktop utility program which enables you to split any PDF file into smaller ones by extracting any specific and useful pages you want from the certain PDF file. It provides you with different kinds of split methods, including splits by pages, by bookmarks and by odd/even page, or you can even define your split method you want by your self. Moreover, various kinds of name patterns are available for your choice. Statement: First, please download the orginal installation package by clicking the download link. Of course you may also download it from the publisher's website. Using Wise PDF Split crack, key, patch, serial number, registration code, keygen is illegal. The download file hosted at publisher website. We do not provide any download link points to Rapidshare, Hotfile, Depositfiles, Mediafire, Filefactory, etc. or obtained from file sharing programs such as Limewire, Kazaa, Imesh, Ares, BearShare, BitTorrent, WinMX etc. Software piracy is theft. If you like Wise PDF Split please buy it.